A Lampas motif of bouquet of tulips, roses and asters with ribbons and pearls on a satin background, created in 1786 from a design by Desfarges. This fabric, delivered in 1787 for the bedchamber of Louis XVI at the Palais de St Cloud, was not sold during the 1789 revolution and was later used for the chamber of Napoleon at the Palais des Tuileries until 1808. 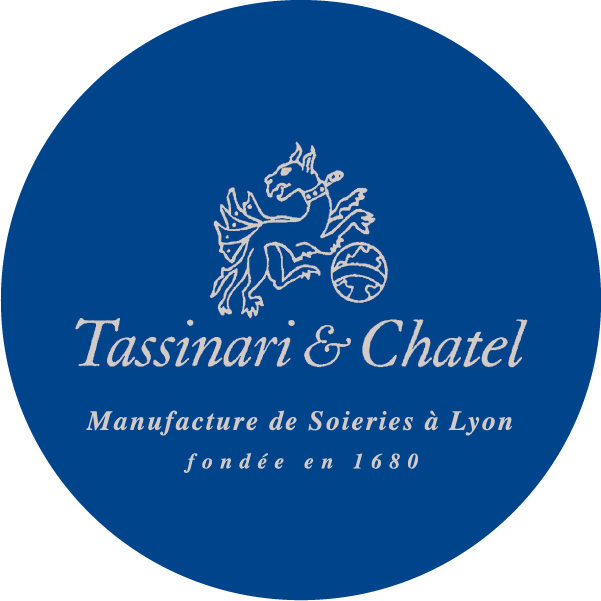 For more than three centuries, Tassinari & Chatel has accumulated and maintained several hundred thousand documents. This unique heritage, gathered across the centuries, constitutes a library of Archives full of Damasks, Lampas, Brocades and Velours de Genes, in every style imaginable. This library of Archives, available to trade professionals by appointment, is a source of inspiration for exceptional and prestigious interiors. Our atelier in Lyon is able to replicate exactly any document, or to incorporate variations of colour, quality or scale and, at the other extreme, to satisfy more complex orders where the design is completely unique and exclusive. After detailed analysis and retranscription of a special design, we will submit to the client a design on paper, followed by a trial sample woven in the selected yarns, before weaving the final fabric required. Our Archive Selection has illustrations of those designs, which have already been re-woven. 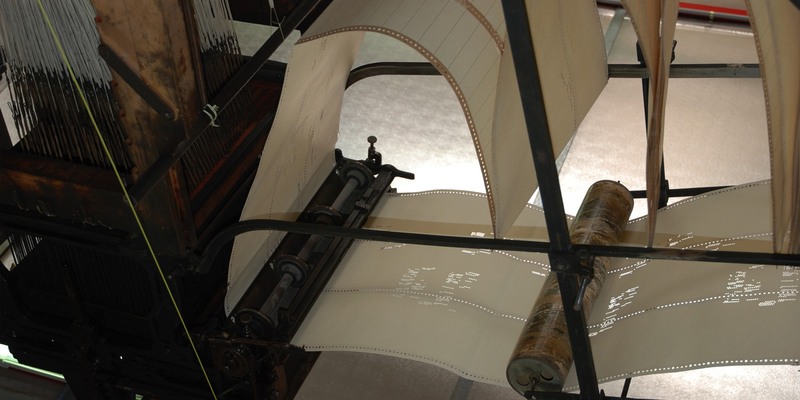 These have the advantage of very low (if any) development costs as the Jacquard cards already exist and the fabrics can be woven directly from them exactly as shown in our catalogue selection. Alternatively, they can be produced using different colours. An existing design can be transposed using a fibre-content or scale different from the original. We can evaluate different quality fibre compositions and provide clients with quotations for different quantities ; there is no minimum order quantity. This Selection is further evidence of our savoir-faire and represents only a tiny percentage of our vast collection of archives.